NEW YORK, Feb 21, 2012/ — Eclectic, quirky and timeless, the Marni collection at H&M is a modular wardrobe for women and men, complete with accessories. 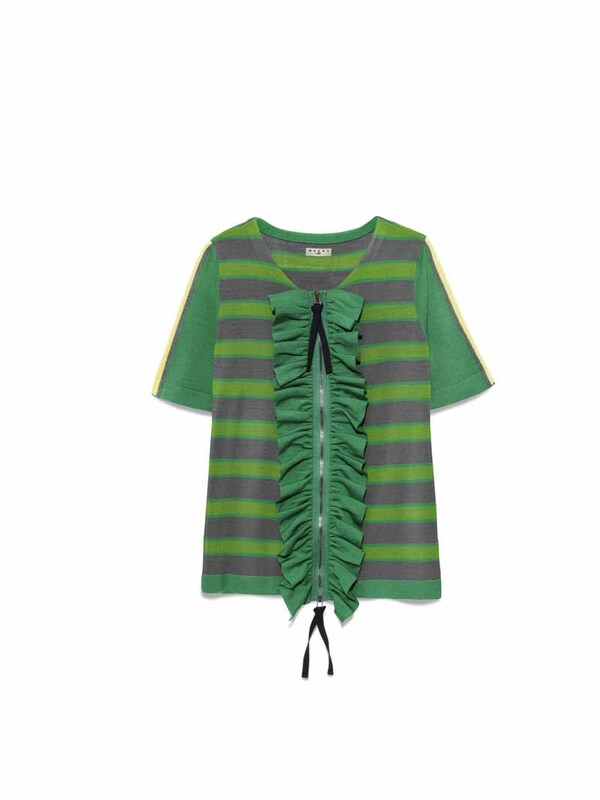 It is composed of elegant items selected by Marni’s creative director and founder, Consuelo Castiglioni, from her extensive repertoire to create a playful range of style possibilities. A sense of sophisticated eclecticism is mixed with a sporty allure; the accent is on the streamlined purity of design and the intensity of surfaces. The result is high on prints and spring energy, with the unmistakable Marni signatures evident in the juxtaposition of shapes, patterns and materials. The collection is compact, the mood individual. Everything goes with everything. Items can be assembled and reassembled in a variety of outfits according to personal instinct and will; suggesting an innovative approach to dressing up. The intersection of sportiness and sophistication is a defining trait. For women, essential pieces such as loose dresses, shirts and tops become playgrounds for inventive associations of prints and textures. Well-defined summer coats and slender jacket-and-skirt ensembles add a quirky ladylike note, which is immediately toned down by the relaxed ease of the parkas and sporty zip-up blousons. Knits have a constructivist feel: silk-front cardigans sport a knitted back, just like patent leather zip-up tops. Short pajama suits and stripey leggings used as underpinnings have a graphic charm. Lilac gold brocade is treated as a sporty fabric on looks that reinvent the definition of day to night.